Located halfway between central London and the South Coast, with around 100,000 residents, Crawley is the biggest town in West Sussex. It’s a bustling business hub, with plenty of bars and restaurants, parks and open spaces, a theatre, a 15-screen cinema and plenty of leisure facilities and entertainment for adults and children alike. Rail and road links are excellent to Brighton and central London, and Gatwick Airport is just a stone’s throw away. Oh, and for fans of ’80s rock, all the members of The Cure grew up in Crawley. From Stone Age beginnings, through growth in Roman times to riding the wave of prosperity that was the iron industry, this little market town has become an important powerhouse of southern England. Behind the tranquil lakes and woodlands, the quiet neighbourhoods and the country parks, beats the heart of a successful urban area that has moved with the times and has become increasingly popular with young families and commuter belt buyers. the A264 runs east and west from the town to join the A22 and A24, both of which go north to London, with the A22 going south to Eastbourne and the A24 going south to Worthing via Horsham. Crawley has three train stations – Crawley Railway Station, Ifield Railway Station and Three Bridges Railway Station. Crawley Railway Station has direct services to London, Bognor Regis, Portsmouth, Chichester and Horsham. Three Bridges Railway Station has direct services with all the above, plus Brighton. Anyone with children will not need an estate agent to tell them that schools are one of the main reasons why families move home. For its compact size, Crawley is well serviced with 28 primary schools, 7 secondary schools, 2 special needs schools and 2 independent schools. Two of the primary schools and one of the special needs schools are rated as ‘Outstanding’ by Ofsted. Central Sussex College is in Crawley and the universities of Kent, Sussex and Brighton are within easy reach. 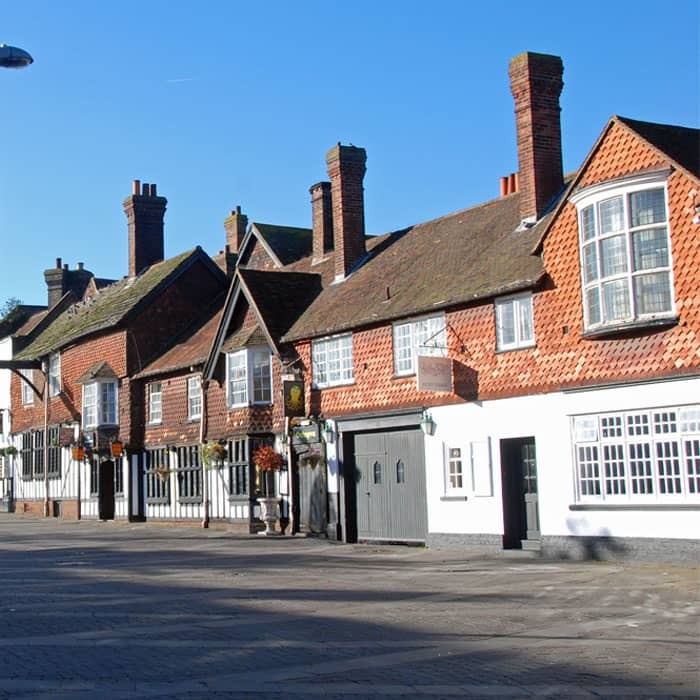 As an estate agency with a strong online and offline presence in the Crawley area we are trusted to know all there is to know about the region. Therefore, no guide would be complete without a brief ‘where to go’ section. Green spaces. There are lakes and boating ponds at Goffs Park, and Tilgate Nature Centre has beautiful walled gardens and woodland paths to wander. For the kids. Tulleys Farm has everything from a Maize Maze to find your way out of to seasonal family events all year round. Culture. Come to Tilgate Forest where part-time dinosaur hunter Gideon Mantell uncovered his prehistoric finds, then visit Crawley Museum Centre to discover more of the amazing artefacts unearthed in the town. Nights out. Nightclubs, live acts, themed events, cocktail masterclasses, music and masses of fun at venues such as Moka, Bar Thirteen and Octopvs.